Children & Sports Podiatry we do best. Seeking Relief of your Foot Pain…we listen, we care, we serve. Inspire Podiatry is a professional podiatry clinic in Albany Creek that actively listens to better understand the help you seek to relieve your foot pain or shin pain. We deal with the diagnosis, prevention and treatment of Lower Back Pain, Hip Pain, Knee Pain, Shin Pain, Ankle Pain, Heel Pain and Foot Pain. We face challenges with optimism, we innovate & constantly improve. Reduce the incidence of an injury and have your running technique & alignment assessed. We focus on determining why your pain has developed and how we are going to treat it. We love to give advice on how to make your foot and leg strong, so you can transform your feet from bricks into springs! A complex condition in nature which often requires an extensive range of hands on treatments. We believe heel pain truly requires an individualised approach. 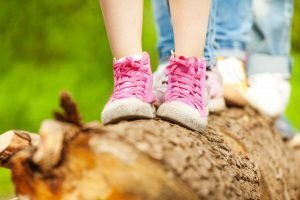 We can check foot posture, alignment, assess any growing pains and gross motor skills…with your child's walk,hop, skip & jump. Inspire Podiatry Approach… We listen, we care, we serve. 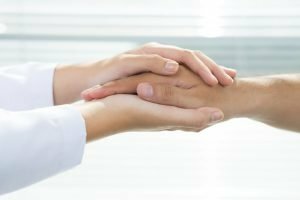 From the very first appointment you will be enriched by the deep and genuine knowledge of our experienced podiatrist to understand your treatment complaint. Assess your foot function and alignment during walking and running as we like to find the underlying cause of your pain. Treat your foot pain and other pains appropriately with the best evidence based research available. Review you, to ensure your expectations have been met and to prescribe appropriate exercises to make you foot and leg strong again. We are a genuine team that aspire to be LEADERS IN THE PROFESSION. We EMPOWER KNOWLEDGE to achieve EXCELLENCE IN CLINICAL CARE. Helen believes every patient needs to achieve the best treatment outcome possible. She loves dedicating herself to her job to grow both personally and professionally. She has all the qualifications including First Class Honours in 2004 at QUT and she continues to ensure she is offering her patients cutting edge treatments aimed to ensure you are getting the quality care your deserve. 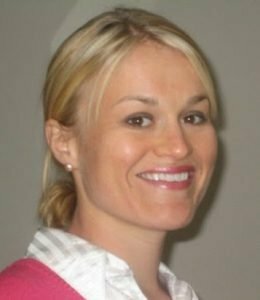 Helen has over 13 years’ experience in treating many athletes, runners and Australian armed force service people. She has worked in clinics treating the Newcastle Knights and lectured at Universities interstate. Her passion is helping Children and Adults to relieve their foot pain and achieve their goals. In her time off over the years she has competed in Triathlons, Soccer, Touch Football and Mountain Biking. She believes that from being active and experiencing sporting injuries yourself….. you become an expert in managing and treating those injuries for your patients! Don’t live with pain in your feet and legs any longer...we welcome the chance to serve you. Make an appointment at our podiatry clinic in Albany Creek & seek relief. HICAPS, Medicare, DVA & Onsite Health Fund Rebates Available.